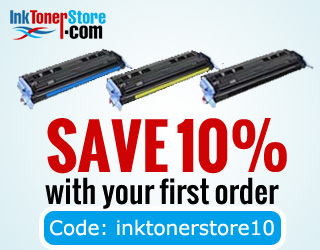 Among the main problem that printer owners experience is the printer not recognizing a new ink or toner cartridge. This problem mainly occurs when changing or replacing an empty cartridge with a new one. Regardless of the brand of printer, you are using this problem tends to be universal for all printers. Or it may show some flash warning lights on the printer’s display. This can prove to be very frustrating since it not only stops you from printing but also can take much time if you don’t know what to do. However, by deleting the retained memory from the previous cartridge the printer is able to read the new one. Below is a comprehensive procedure which can aid you in making your printer recognize the new cartridge. First, place the new/refilled ink cartridge into your printer for the purpose of recognition and make it print an alignment page. However, don’t worry if it still retains the memory of the previous cartridge and read the ink level it was before. Remove the cartridge from the printer and replace it with an old one again, repeat the process. It is worth noting that printers can retain the memory of 2 cartridges, this step should ‘trick’ the printer into forgetting the memory of the second one and recognizing the third one. Thus use two different ink cartridges for this purpose. Reinstall the first /refilled cartridge and you will find that the printer now recognizes the new cartridge as full. Take your cartridge and tape over the left corner of the contact square later has it print an alignment page. Ignore any message about the printer having a problem. Take the cartridge again this time however tape over the upper right corner put it back and make it print a second alignment page. Finally, take it out and reinsert it but this time with no tape. Your printer will recognize the cartridge as full. If the printer doesn’t still recognize the cartridge place the tape over the contact squares on the bottom of the cartridge and repeat the process. TN223 VS TN227 – Which One to Get? CF226A VS CF226X – Which One to Get? Printer Hack: 4 Ways To Secure Your Printer From Hijackers!